Also called Japanese Plum, this easy-to-grow evergreen tree with large dentate leaves is a popular ornamental for its tropical appearance. It flowers in late winter (January in north Florida) and bears clusters of small golden fruit of 1-2" in diameter in early spring. The fruit has a large seed and has a mild, flavorful flesh. Loquats are hardy along the coasts as far north as North Carolina, but the flowers can be damaged by frosts. Loquats make great trees where overhead space is limited or as a specimen tree or a patio shade tree. While able to tolerate partial shade, this tree will do best in full sun and accommodates nicely to Florida's higher pH soils. White fragrant flowers appear from October to February in Florida and bears clusters of small golden fruit of 1-2" in diameter in early spring. The fruit has a large seed and has a mild, flavorful flesh. Loquat fruits are excellent eaten fresh or made into jelly, jam, preserves and pies. Fruit must be tree-ripened for the best flavor. A mature tree may bear from 35-300 pounds of fruit per tree per year. While loquats are considered somewhat short-lived trees living only 20-30 years, I would recommend them for every landscape. Loquats look tropical, are hardy and somewhat drought tolerant, and provide a tasty crop of fruit on a yearly basis. Late February and March starts the season for this fruit when few other fruits are readily available. Fruit must be tree-ripened for the best flavor usually by March. 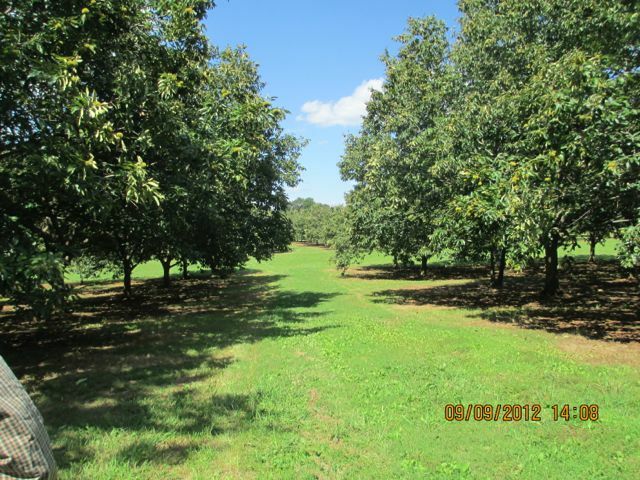 Well-drained sandy soils are preferred, but loquats will grow on many soil types if good drainage is provided. Loquats do not tolerate flooding. Loquats will grow more vigorously and produce more fruit in full sun. By full sun we mean at least 6 hours of sun in the afternoon. Gently remove the plant from the pot and place in the planting hole. To avoid burying too deep, make sure plant is positioned with the top most roots at the soil line. Fill the planting hole with the mix of soil and organic matter; gently tamp it in. Water thoroughly to settle the roots and eliminate air pockets. Dig a planting hole approximately two times the width of the pot and at the same depth as the root ball. Enrich the planting hole with aged mushroom compost, aged manure or composted pine bark mixed with soil dug from the hole (50:50 mix). You can use a good citrus fertilizer like Espoma Citrus tone, or 10-10-10. Make sure that the fertilizer contains iron, zinc, manganese, magnesium, molybdenum, copper and boron. These minor elements are very important to plants and most soils are low in these elements. The first year is a critical time for the establishment of a new loquat tree. Water thoroughly twice a week on light soils and once a week on clay soils. Soak the entire root system deeply – this usually takes 40 minutes. Established loquats should receive at least 1 inch of water each week. Water regularly, especially during dry periods. Fruit may drop prematurely if insufficiently irrigated during dry spells. Loquats require little pruning. Remove dead and damaged wood when appropriate. Loquats are essentially free from pests and diseases. Freezes below 27F may damage fruit and flowers, but will not harm the trees.